Vodka maker Grey Goose has launched a bespoke bartender service for well-heeled party planners in the run-up to Christmas. The Grey Goose Cocktail Concierge service, which starts at £2,000, allows people to bring a professional mixologist into their own home, complete with glassware and seasonal ingredients, who will create festive cocktails for everything from dinner-parties to corporate events. 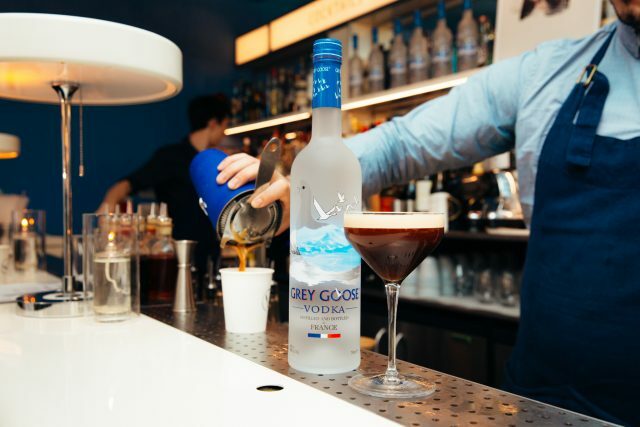 The service, which will include vodka-based cocktails such as a Grey Goose le fizz (made with vodka, soda, lime juice and elderflower cordial) or espresso martini, can be booked for groups of up to 30 people throughout December. Owned by drinks giant Bacardi Martini, Grey Goose is one of the world’s most popular vodka brands, selling almost 4million 9L cases annually. This isn’t the first time the drinks maker has delved into the experiences market. Back in 2016, the brand revealed a series of pop-ups in 20 different cities across North America and the US which whisked consumers off for a taste of the French Riviera, a new signature serve and marketing campaign under its “Extraordinary experiences” banner. “While flavour variations will always be around and are perfect for creating fun cocktails, we’re seeing that consumers are gravitating more towards natural ingredients in their pure form,” they continued. The news comes as drinks makers have recently seen vodka’s reputation go from bland and tasteless to a complex and sought-after spirit. Tell whoever these private party holders are to contact us – we can provide the staff, a bar, stock, glass and ice for half the cost including VAT!